I’ve had the honor of being a guest on so many great podcasts I know you’ll love. I’ve listed them down below and will continue to update this list as I have the opportunity to be a part of more shows! Check them out – you may find a new podcast or two that you love! 02.21.19 | the Boundless show with Lisa Anderson Episode 577: Should Women Pursue? Hey Jamie! I heard on your podcast with Emily Freeman that you couldn’t listen to the Bible on 1.5 speed. However! 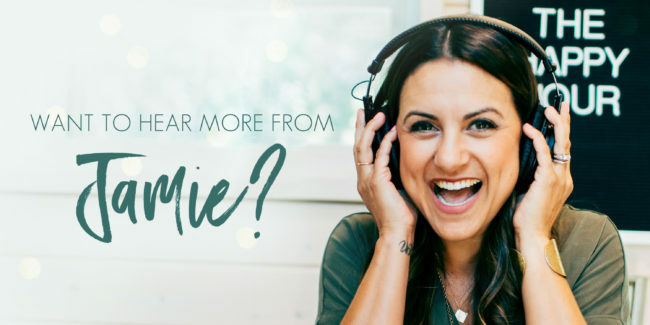 If you are listening on the Bible App, you can! Top right corner, volume button. Boom! Now if you are listening with any other app, I got nothin’…Or if you meant you choose not to listen at 1.5 speed then please disregard this comment! Anyway, love your podcast, your book, all the things. Thanks!